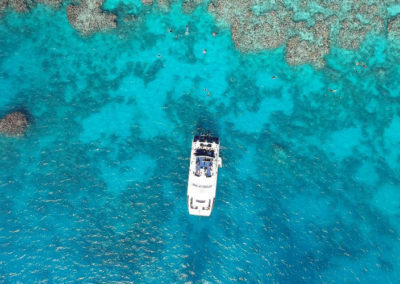 Tick an item off your bucket list and explore the Great Barrier Reef on this budget snorkel day cruise departing from Cairns. Visit 2 fantastic reef locations in one day! 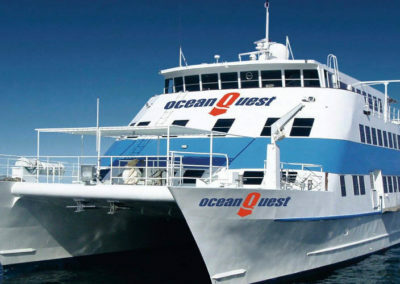 Travelling in a comfortable, modern vessel to the Outer Barrier Reef, visitors will enjoy the marvellous scenery and complimentary morning tea on board before arriving at the first reef location. 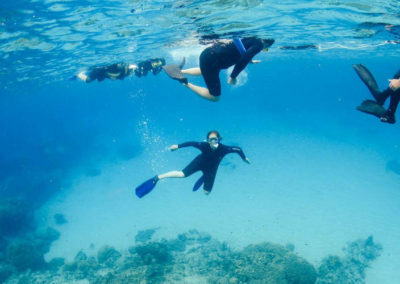 With all snorkelling equipment supplied, get ready to jump in the water and discover the coral and marine life that make the Great Barrier Reef a world heritage site. After a snorkel or dive (additional cost), head to the second reef location to discover the unique marine life that live in this underwater playground. 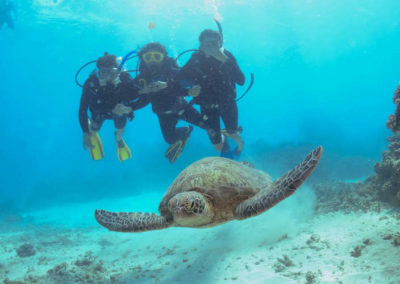 FREE guided snorkel tours are available to guests at each location or snorkel independently as you wish. A buffet lunch is served on board to keep you energised throughout the day and afternoon tea is served as you journey back to Cairns. A $20 reef tax is not included and must be paid on the day. 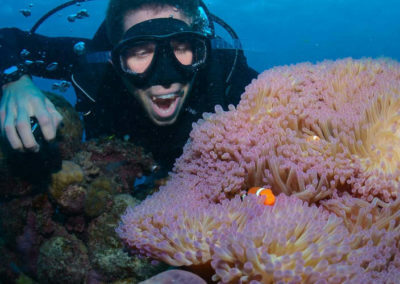 Book your budget Great Barrier Reef Snorkel Cruise online today!